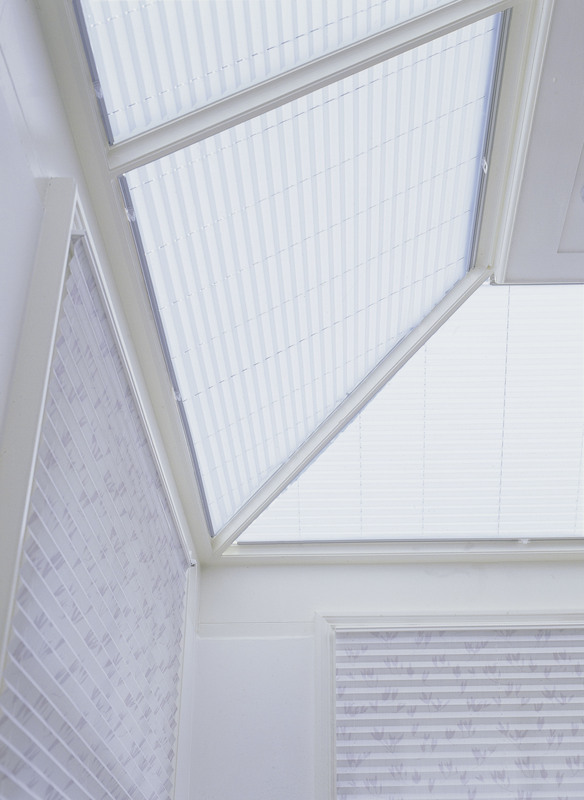 If a customer approaches us about blinds in their conservatory roof the first question we usually ask is WHY? The very next phrase they utter is very important to us as it tends to be the issue they are most trying to solve. If that phrase is "it gets too hot" then we will spend time introducing the concept of window films to them. 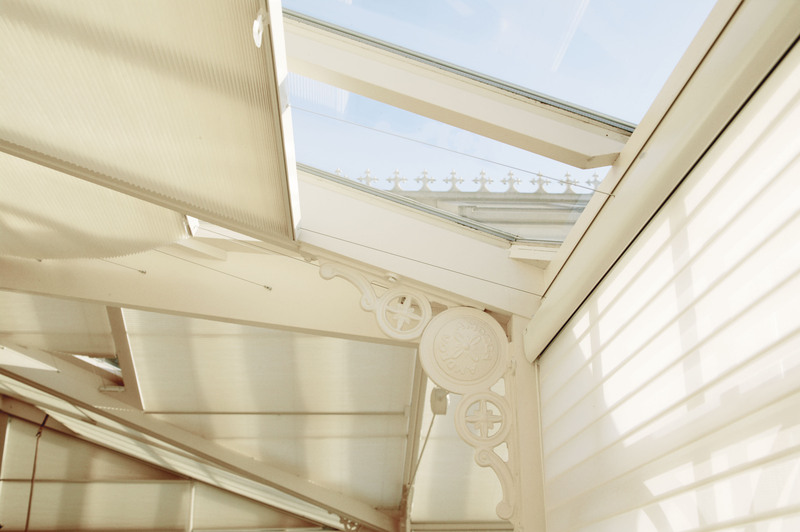 It's not that we don't like conservatory roof blinds but with a mission statement like ours we have to be certain that we have at least attempted to offer the best possible solution. The best performing roof blind system will struggle to reject more than 45% of solar heat whereas a window film can reduce the solar heat by 80%. 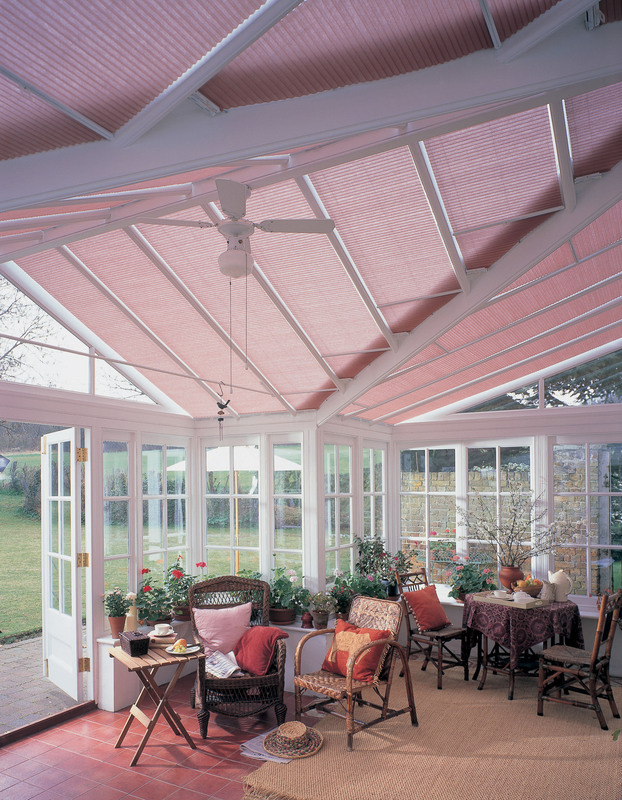 It is also a cheaper option which makes it a solution which ticks most of the boxes where heat, glare and UV is concerned. If our customer answers our "why?" 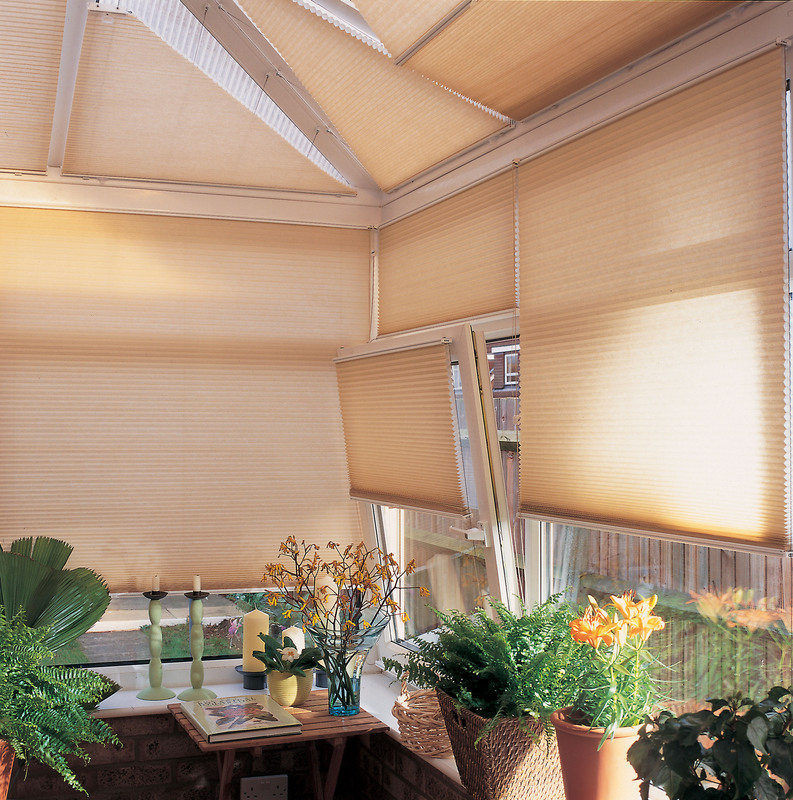 question with "we have a north facing conservatory that we want to make more cosier and feel more like a part of the house" then a blind system is the way to go. 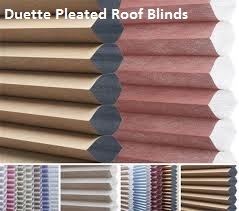 We love the Duette pleated blind system. the double (sometimes quadruple) layers allow a white layer to reflect as much heat as possible on top and a coloured layer inside to add a gentle colour to the roof. The double layer also allows the control wires to pass through the fabric without the need for rows of holes which are the hallmark of a single pleat system. 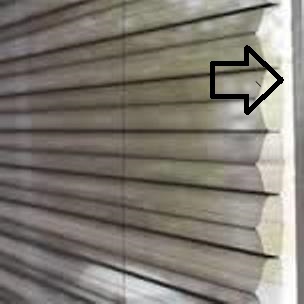 Another less obvious benefit of Duette pleated blinds is the the secondary layer can be cut in such a way as to prevent "sag & stretch" of the fabric which is where the weight of the fabric can straighten out the pleats and the top of a blind and cause them to close up at the bottom. 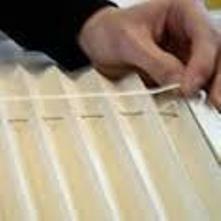 Single pleat blinds normally require a tape system which is very fragile to accomplish this.